It is one of them most fashionable events of the year and we were lucky enough to attend and chat to all of the winners! South Africa's most stylish came out to celebrate fashion, and a number of winners were rewarded for their stylish achievements. These winners tend to use their style and media platforms to entertain and get us to stop and register what’s happening in the real world. Digital illustrator Karabo Poppy Moletsane’s designs instil a fun sense of pride in urban, African culture, while in the world of Twitter and Instagram, Sarah Langa Mackay stands head and shoulders above the rest. Sho Madjozi on the other hand won for most most innovative style, as her style reimagines what a young South African Tsonga woman would be like in a world without colonialism and apartheid. Johanna Mukoki won most stylish businesswoman, and believes that when you are authentically you and not following trends, self confidence will hep you with anything, including style. 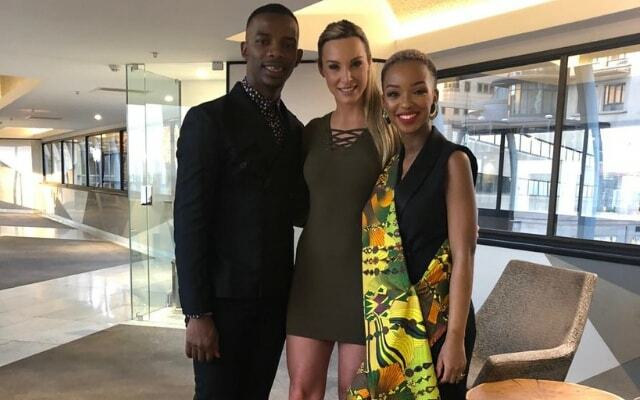 If they weren't already couple goals, Zakes Bantwini and Nandi Madida won for most stylish couple, and share a mutual love for each other and fashion. Linda Mtoba, winner of the most stylish performing artist film or TV category, advocates for looking back when it comes to style inspiration, because style and classic looks are timeless. Local artist Billie Zangewa was also very touched by her most stylish SA icon award, and says this year she feels she has been rewarded for all her hard work and sacrifice that led to her success. South Africa’s best dressed definitely aren’t following the trends, they’re setting them!